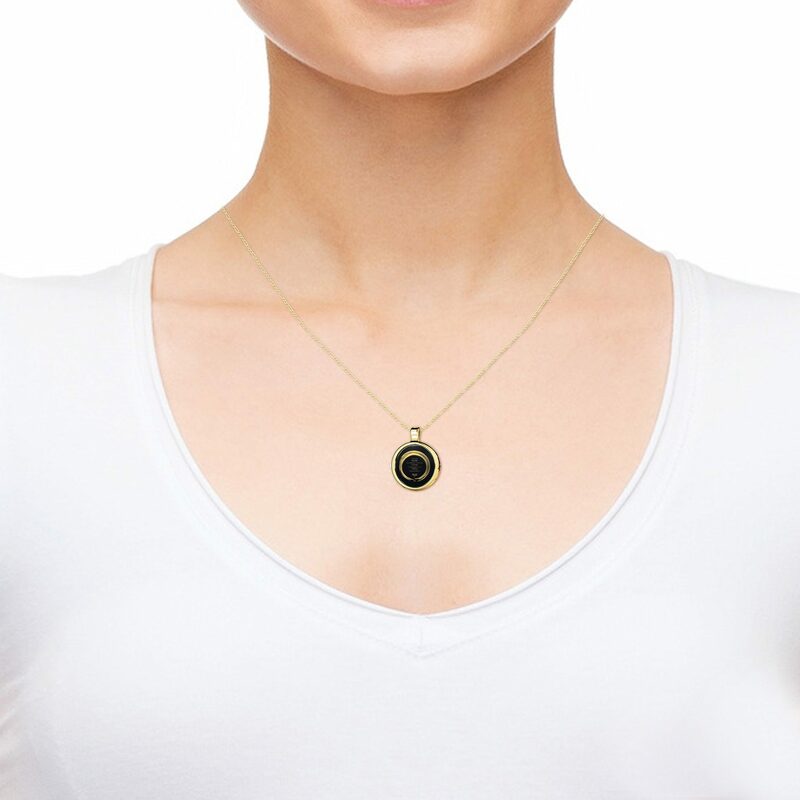 Alcoholycs Anonymous Jewelry - Support a Loved One with Nano Jewelry! 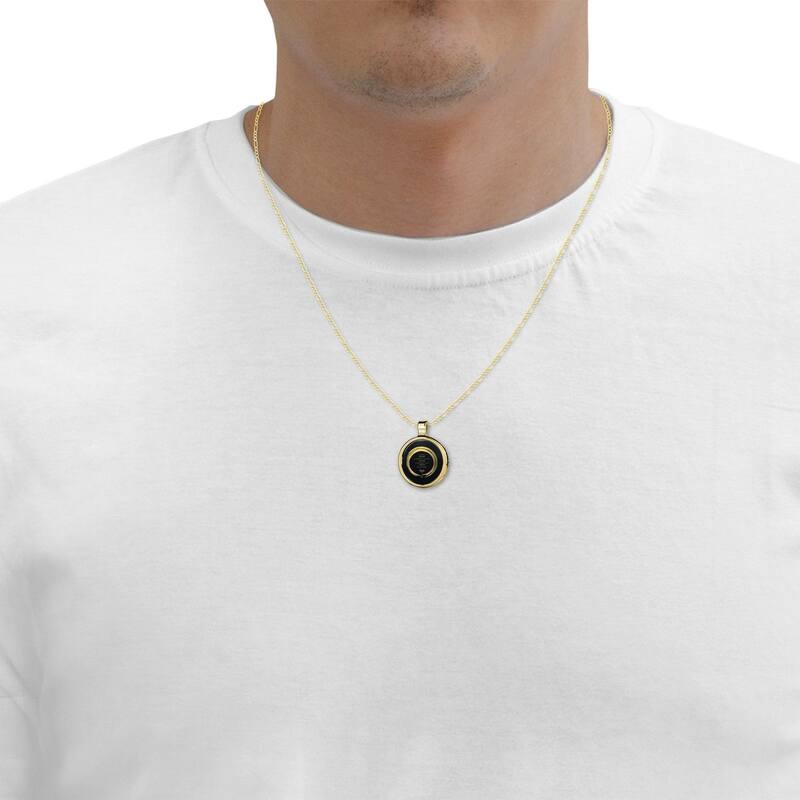 Spending too much time dwelling on yesterday’s failures without looking ahead serves no purpose other than making it harder to embrace the small victories and see the opportunities for growth that can be encountered every day. 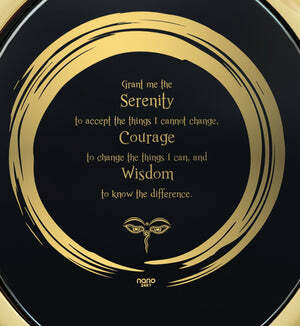 We can only move forward if the past stops hindering us, and if we embrace the unrealized potetial of each day anew. 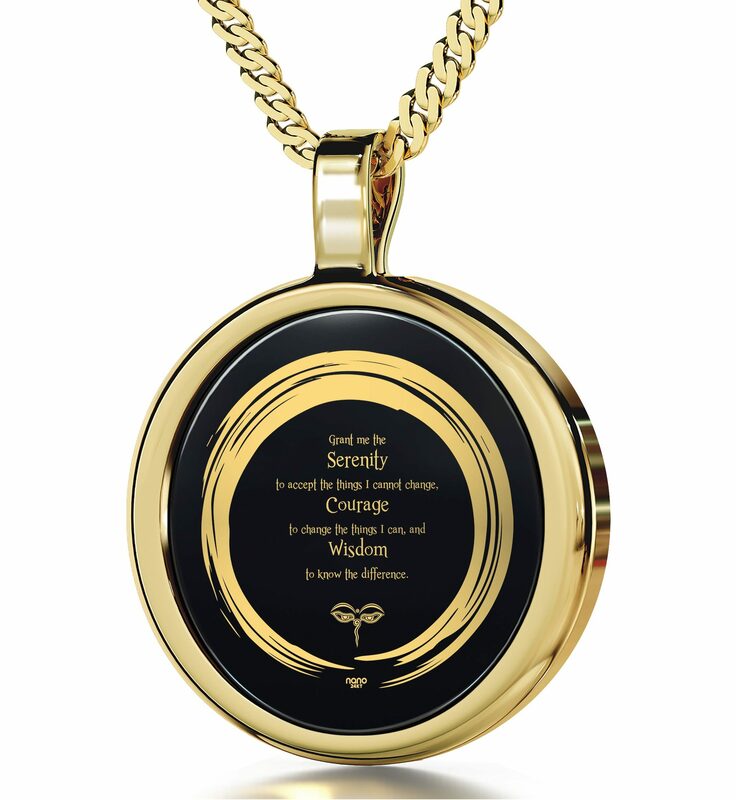 A clouded mind can’t realize this alone, but inspirational jewelry for women and men carrying the enlightening verses of the serenity prayer may help. 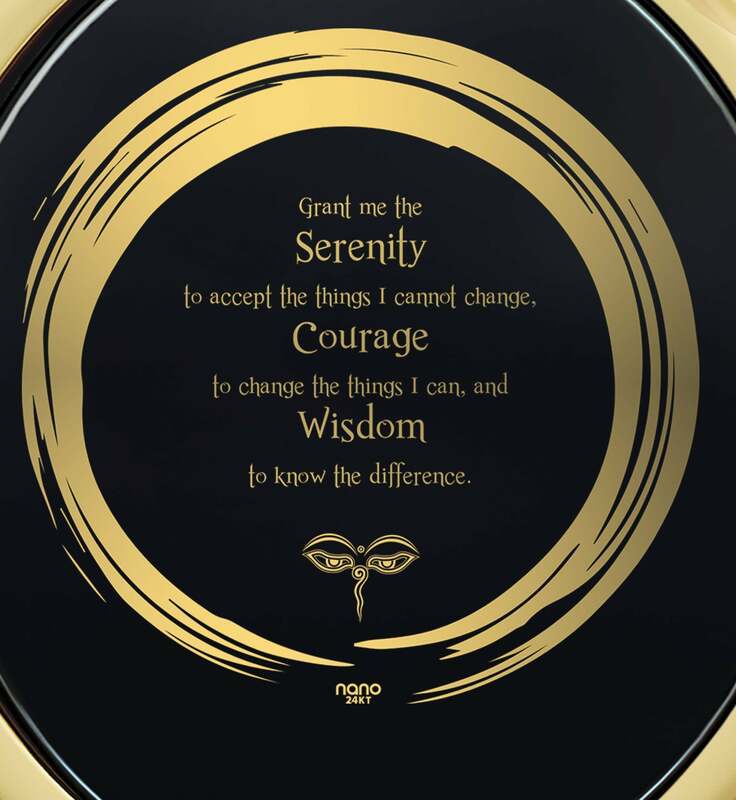 In creating it, we wanted to blend an empowering, bold design which is contemporary and chic with the intense personal meaning one can give to the prayer if it has been recited long enough. That’s why this meaningful jewelry is so well received as an AA necklace too – its two golden rings and the onyx which binds them draw one’s attention naturally, while the serenity prayer and the all-seing eyes of Buddha imprinted so delicately and with marvelous detail in pure 24k gold radiate not just with a striking glow, but with inner uplifting power as well. 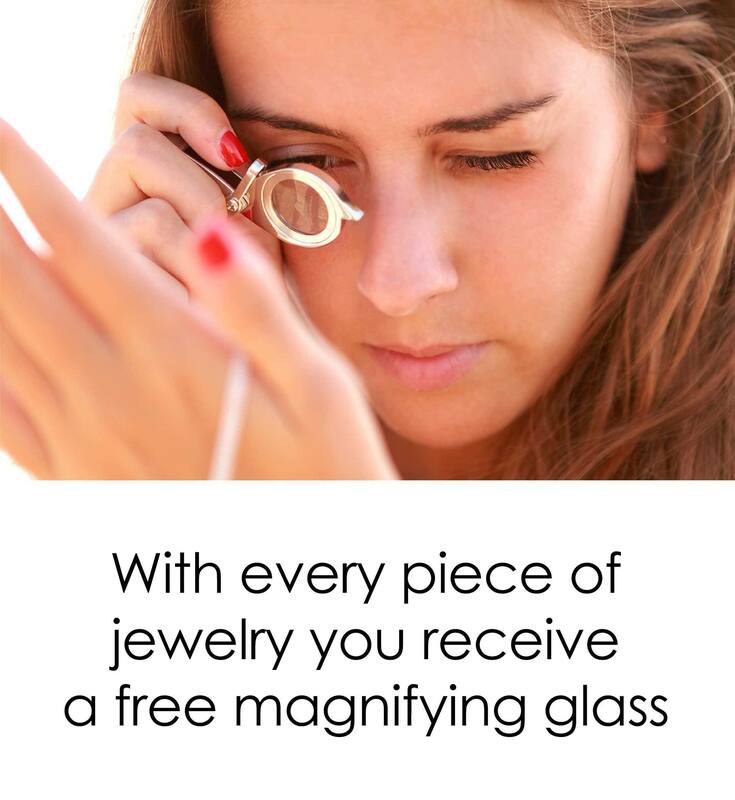 As a whole the spiritual jewelry is a wonderful gift indeed. 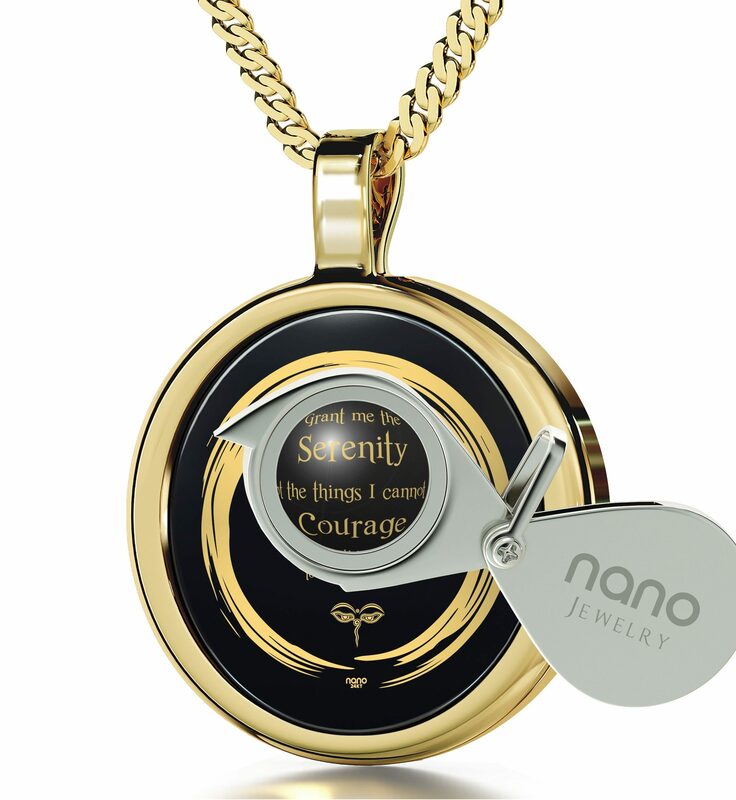 Making it even more of a good gift for men & women are two additions which are completely free with every beautiful necklace by Nano Jewelry. The first, a nice gift box, is here to make sure the necklace arrives with style and safely. 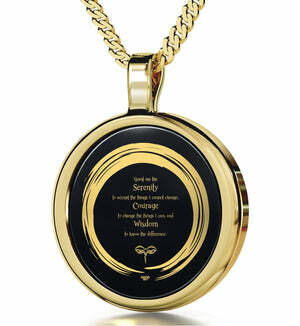 The other is a magnifying glass to aid in reading the prayer and exploring the necklace in full.